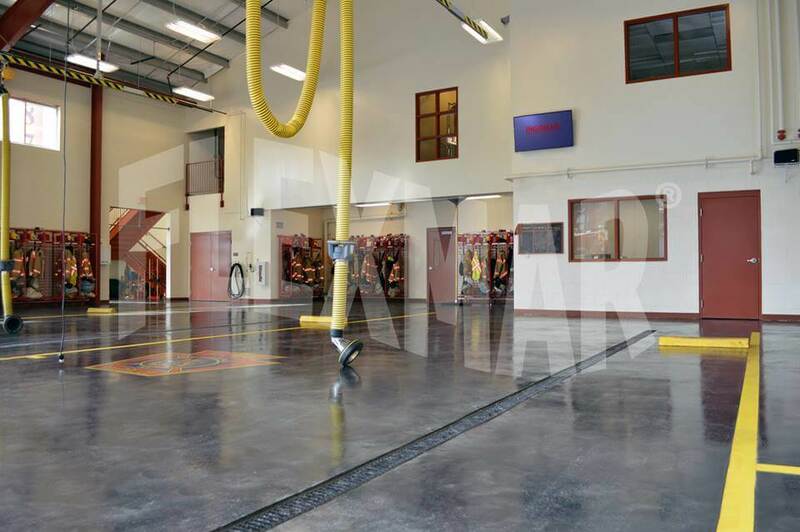 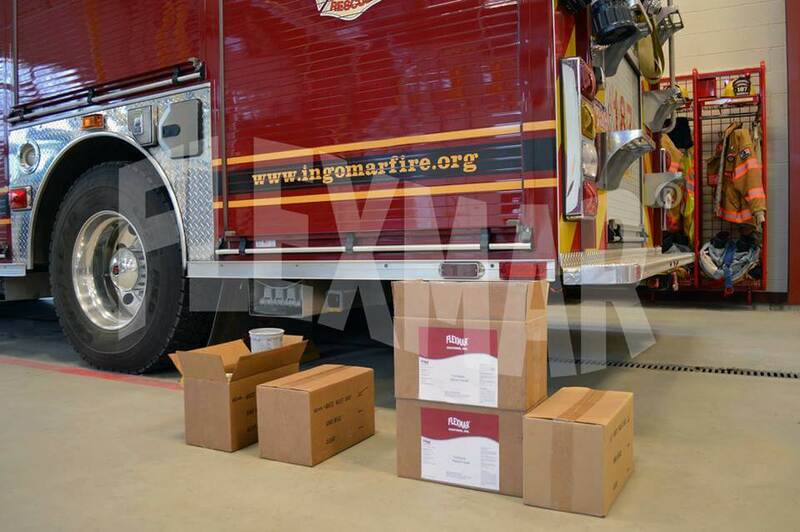 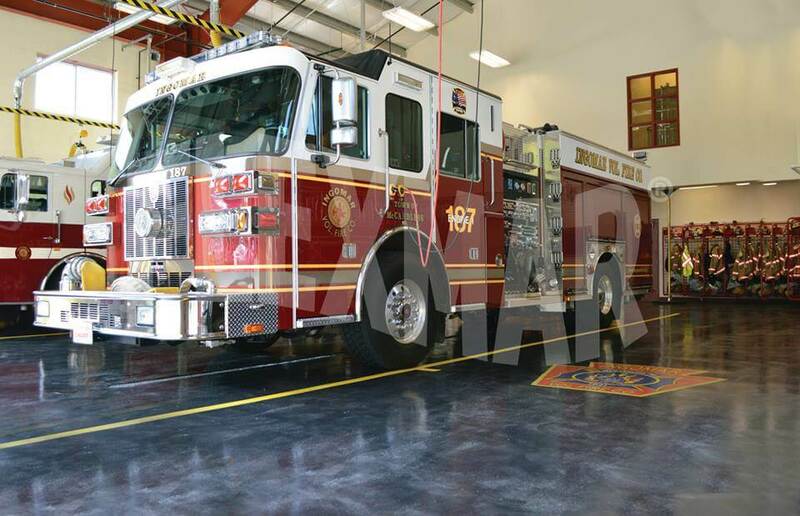 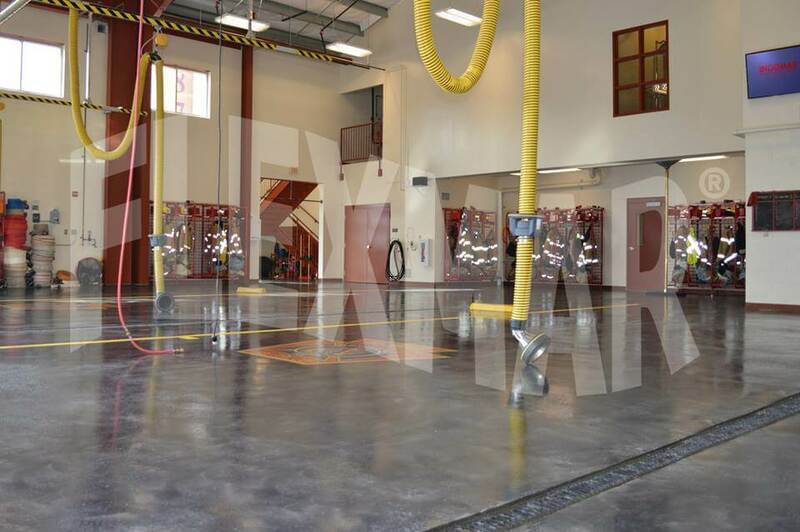 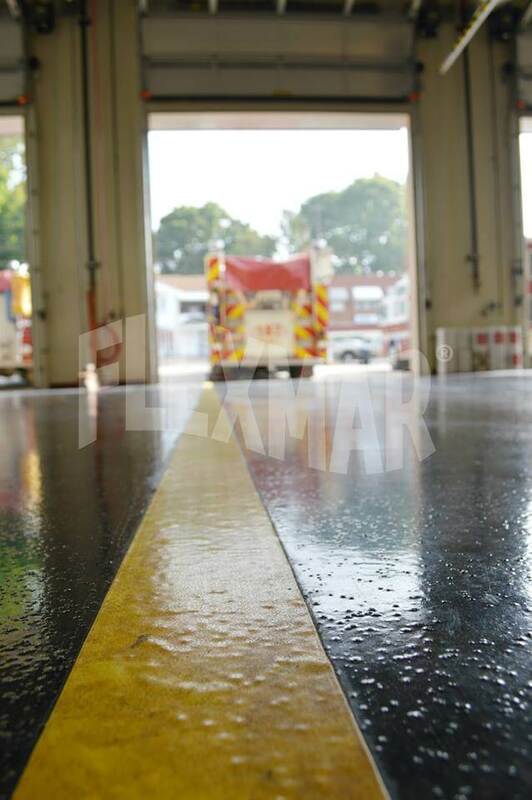 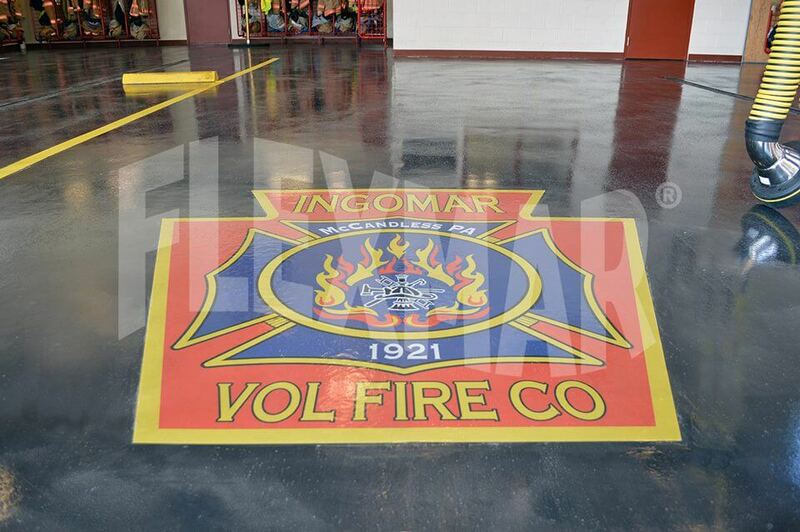 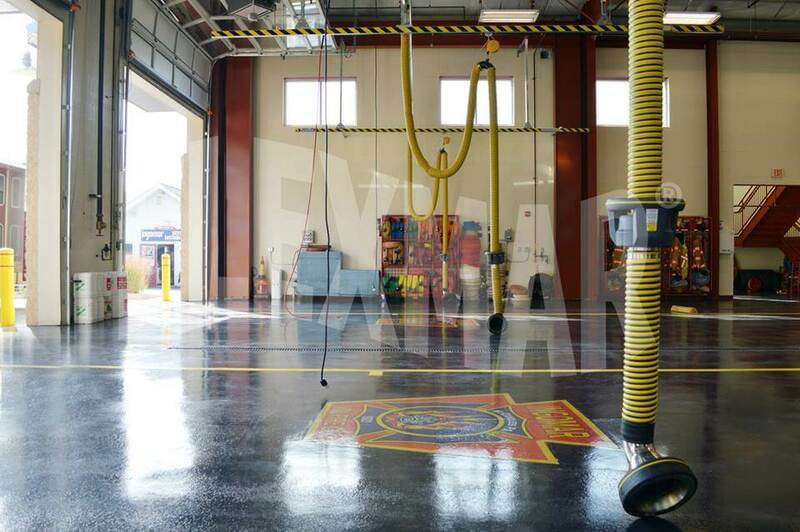 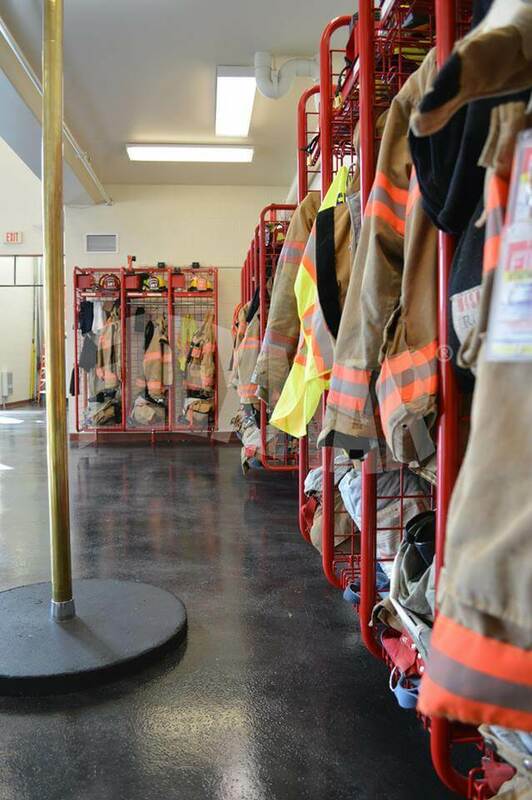 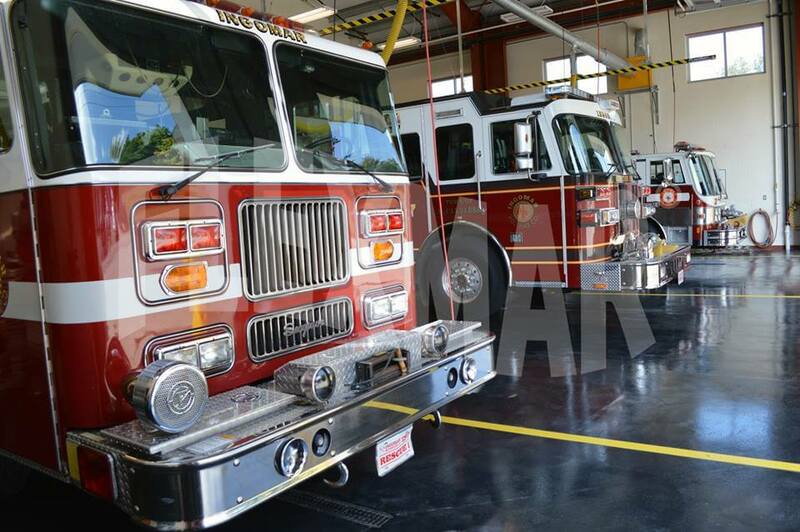 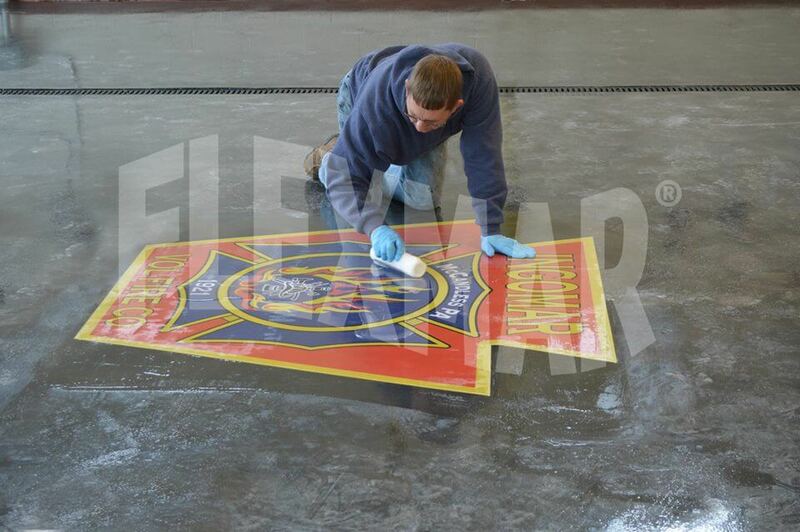 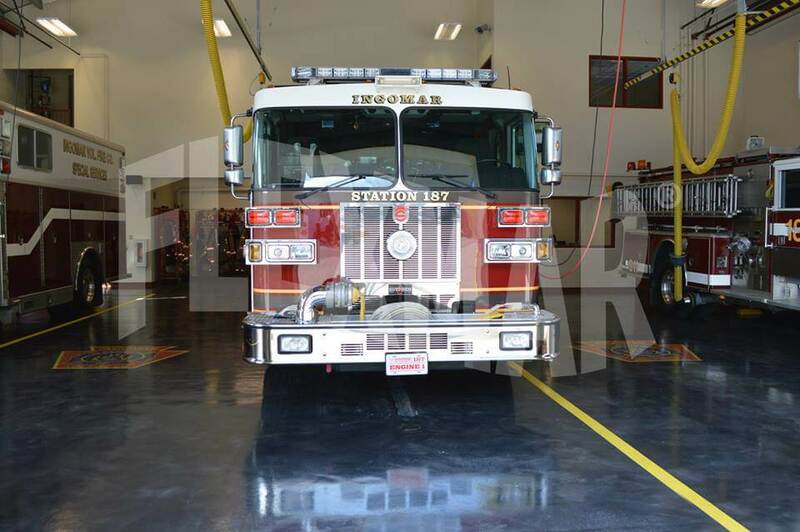 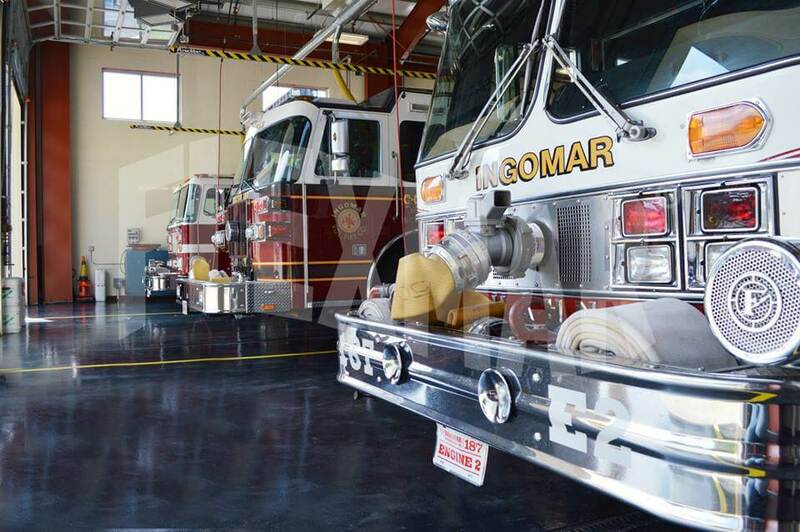 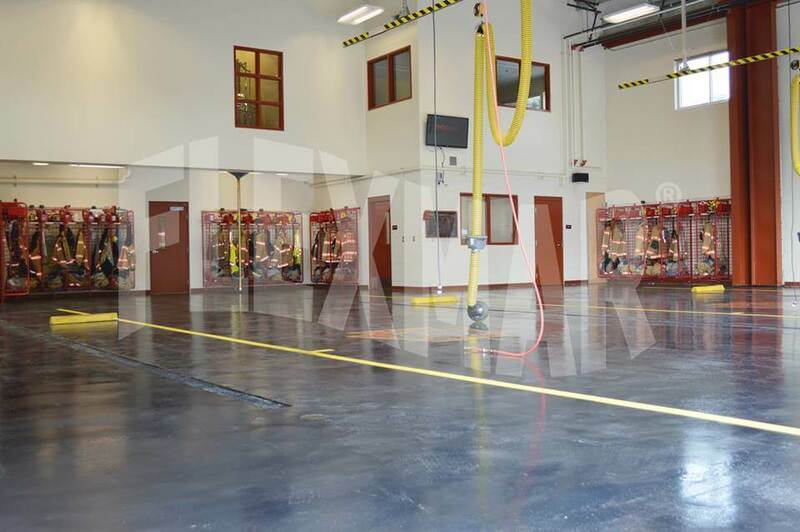 3,600 square-foot application on the fire station's apparatus bay concrete floor. 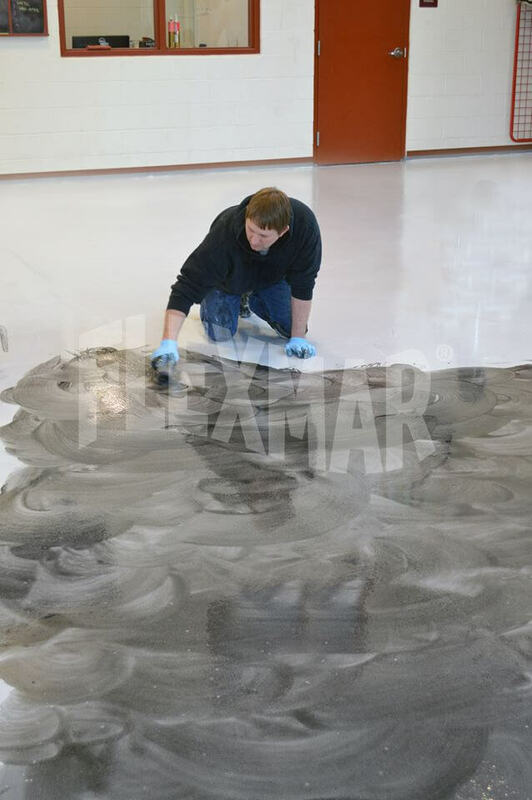 Base coat: Flexmar White Night Grey. 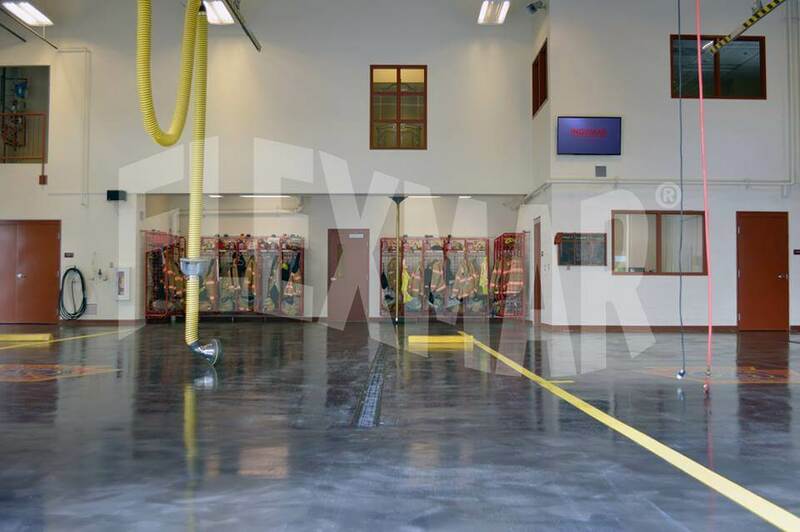 Vareigate coats: Flexmar Storm Cloud Grey.